Team building is a series of activities designed to enable groups of people better understand, appreciate, maximise and work with each other. 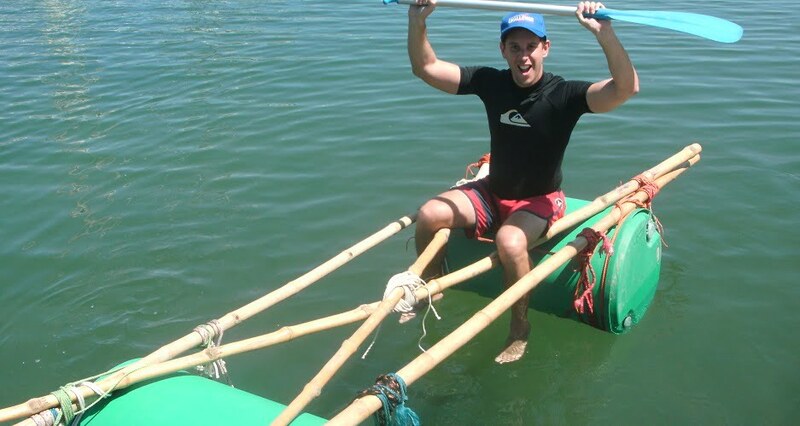 Our team building programs are based around everyone having fun and working together towards a common goal. Why is team building important for groups? Success for any group of people whether in business, sport, politics, entertainment or charity comes down to how well the team performs together. Team building is important to build a cohesive, functional, motivated and importantly happy team. 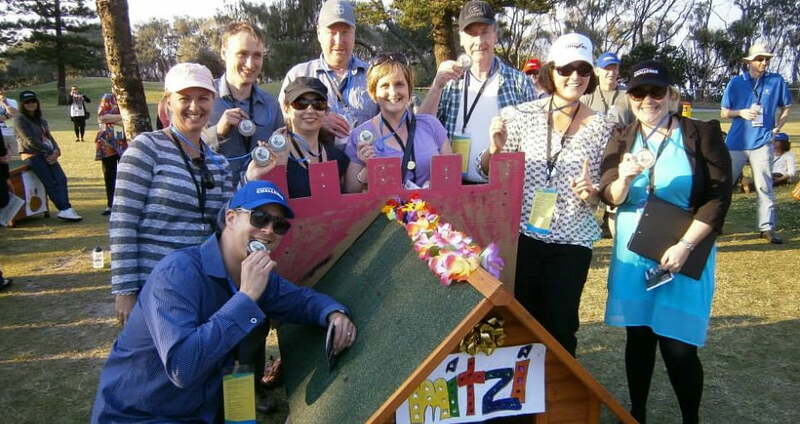 Why should I choose Corporate Challenge Events for team building? We are recognised as an industry leader in the planning and delivery of team building programs all over Australia and New Zealand. Our longevity of over 21 years coupled with the skills, experience and expertise of our facilitators and staff all over Australia, ensure quality and purpose in the delivery of our events. Our vision is to create positive fun team cultures – something we are passionate about achieving for our clients. Where are the team building programs delivered? With local facilitators and staff in each state and territory, we can deliver programs all over Australia. We can facilitate a program at your workplace or find another indoor or outdoor venue that suits your requirements. How long does a team building event go for? 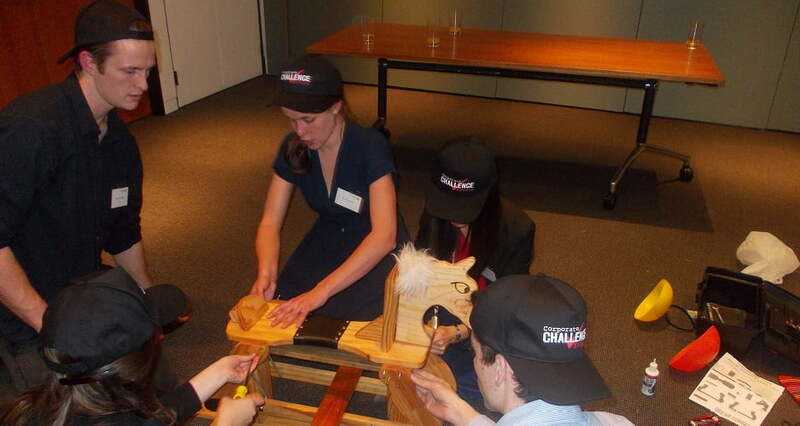 A team building event can range from a 15 minute energiser which are great for conferences to a full day program. It all depends on your time available, the outcomes you seek to achieve and the type of program you wish to do. How much notice do we need to give to book a team building event? Like any business, the more notice you can provide helps our planning. Given we have numerous facilitators and staff all over Australia, we can deliver programs with as little as one weeks’ notice. What results can I expect from doing a team building program? You tell us what outcomes you would like to achieve and we’ll identify and tailor a program to achieve your objectives. In general, you can expect our team building programs to develop your team in leadership, communication, teamwork, confidence, bonding, responsibility, trust, respect, morale and having fun! The cost varies dependent on a number of factors including the type of program, group size and venue. You will find that the benefits and outcomes of doing a program will far exceed the financial cost of delivery. As part of our commitment to you, we do offer a ‘Price Beat Guarantee’ – speak to our local office in your state or territory for details. How do I work out what team building program to select? We encourage you to use our online filter to Search For Your Program and check out the team building programs that match your requirements. Then either Submit an Enquiry online or Contact Us directly to discuss your requirements. We’ll then put a formal proposal together with a solution for your team building needs.